At Direct Rooflights, we supply the highest quality rooflights to both individual and commercial clients and have over 60 years of experience in the trade. As we supply our products directly from our UK based 85,000 sq ft plant, we are able to offer our range at the lowest trade prices nationwide. Our products are made using the finest materials, offering outstanding protection and the ability to withstand heavy impact and extreme weather conditions. 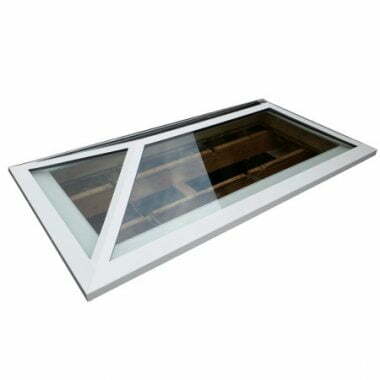 The Direct Rooflight trade price rooflight range includes both glass roof lights and UPVC / polycarbonate roof lights. Available with or without a kerb, all of our products are available to both trade and general members of the public. Our DuraGlaze glass skylight range is available in trapezium or pyramid shape alongside our best-selling DuraGlaze flat glass rooflights. A kerb is included with our Duraglaze Plus option. Clear, self cleaning or solar controlled glazing options are available for all glass roof lights. Our polycarbonate rooflights are available in both dome and pyramid shape, with a range of ventilation options and either double or triple skinned. Kerb options for our polycarbonate range include rooflight with kerb, rooflight with hinged kerb and access hatch rooflights. 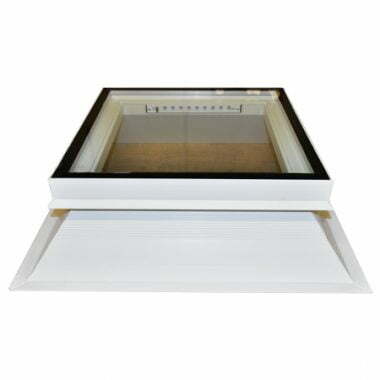 All of our roof lights are available in bespoke sizes and dimensions. Please call 01670 821166 to discuss your requirements. Alternatively, get in touch with us via our website contact form and we’ll get back to you as quickly as possible.